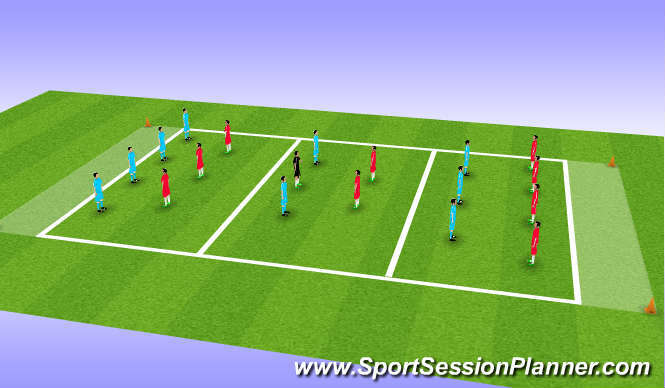 1/3rds game, object of the game is to defend the &apos;end zone&apos; midfielders could join in to make even numbers in final 1/3. 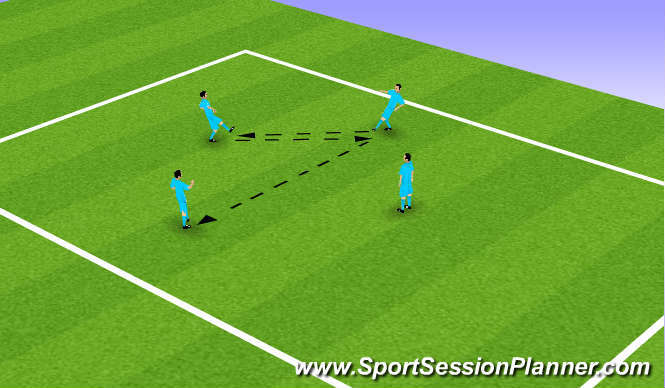 Progressed into a game with the goal keepers. Speed of approach body position low centre of gravity tackling. When to close down. When to drop off/cover. Delay - where to show opponent. Session started poorly but improved once the players understood the game and what the coaches wanted. Got quite competitive towards the end and in the game.